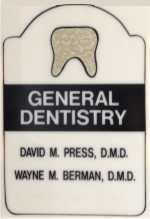 Dr. Press and Dr. Berman's practice includes a wide range of dental health services for individuals and families alike. Why choose Press & Berman? Most Major Insurance Companies accepted. © 2012 David M. Press, D.M.D., P.A.